"My story with this gaming console starts when I was 5 years old. I discovered it in my parents attic packed away in a box. 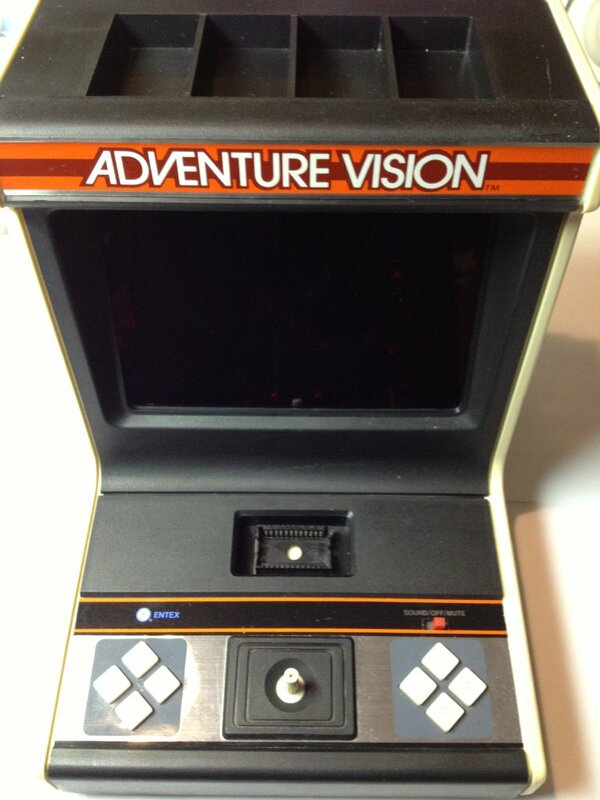 The console only had one game: Defender. I played with it twice not impressed with the graphics, because at the time I had an Atari 2600, and eventually upgraded to a Nintendo Nes. 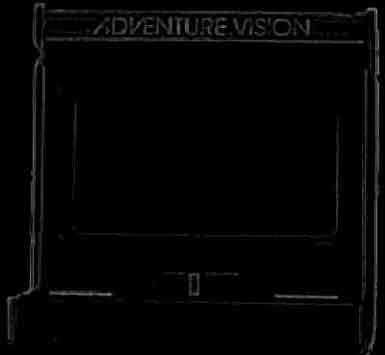 The Adventure Vision was packed away and stored in my parents attic until I discovered again this year after my father passed away from cancer, and we were going through is items. This console brings back a lot of my childhood memories, and amazingly it still works! If you could do me the honors of adding my name to your awesome website as a proud owner of one the rarest table top console ever made, I would be forever grateful." Thanks for sending the pictures and story Shaun! They will forever have a home here! And sorry about it taking me almost TWO YEARS to add you to the site!